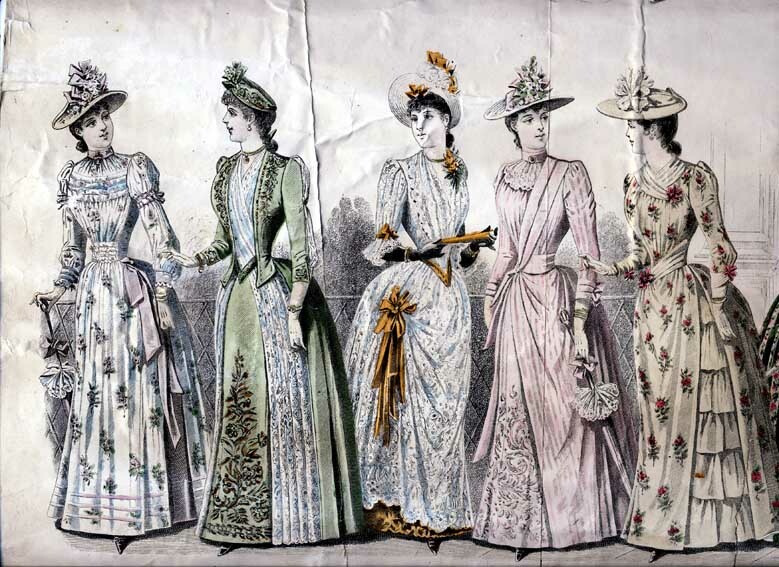 Fashionistas will love A Victorian Silhouette, the fascinating new exhibition highlighting Victorian-era fashion trends and what they can tell us about the place of women in society during the reign of Queen Victoria (1837-1901). By displaying items from our extensive collection of original Victorian garments and accessories beside reproductions made by Sovereign Hill’s Costume Department, the exhibition highlights the craftsmanship required to re-create the period costume which is perhaps the most engaging aspect of Sovereign Hill’s goldrush world. 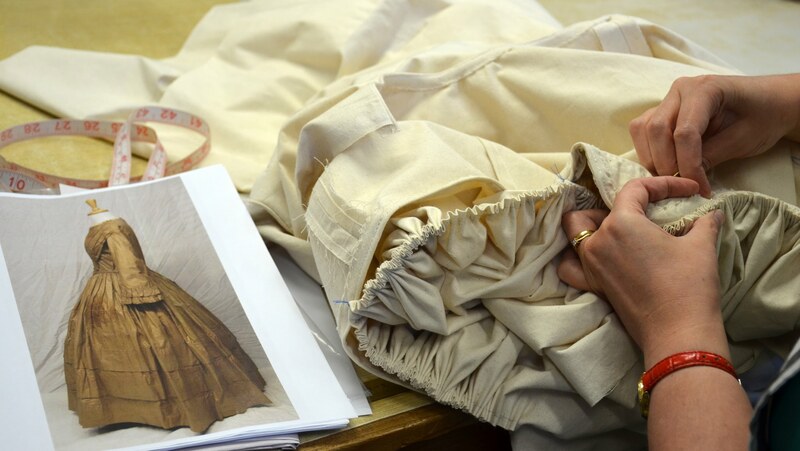 Exhibition highlights include a behind-the-scenes glimpse into life within Sovereign Hill’s Costume Department – an on-site, made-to-measure workroom where up to 2,000 historical costumes are researched, produced and repaired annually. Discover how costume brings Sovereign Hill’s goldfields characters to life, and see how you look in an 1850s-style bonnet created by the Friends of Sovereign Hill. 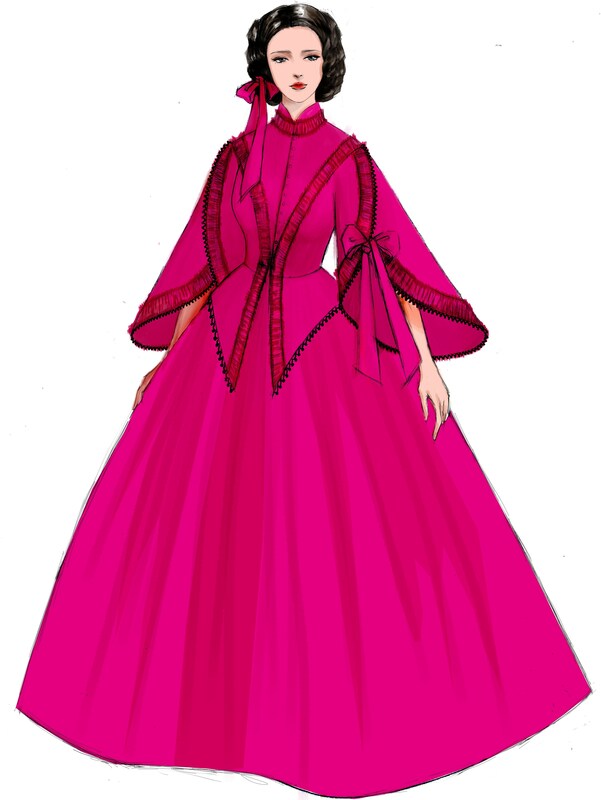 The exhibition also features an extended version of the short film, A Victorian Silhouette, a winner in the Australian Category of the 2018 Virgin Australia Melbourne Fashion Festival Fashion Film Awards. Peek behind the door of a Victorian boudoir to discover the secrets of the 1850s silhouette. 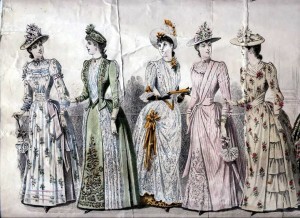 On display are rare collection items of clothing and accessories including an exquisite 1882 silk wedding dress worn by Amy Gibbs, daughter of John Gibbs, proprietor of Ballarat’s Charlie Napier Hotel. A set of wedding accessories circa 1890 features cream kid leather gloves and an orange blossom headpiece fashioned from wax. Worn by goldfields hotel-keeper Eliza Perrin, a polished cotton and wool blend 1860s day dress is another highlight, as is the 1867 ball gown of green silk with cream ribbon worn by Mary Fenton Whitelaw to a ball where she met her future husband. A Victorian Silhouette will be open to the public every day between 18 May and 4 November from 9.30 am to 5.30 pm. Re-Awakening the Dragon showcases the Gold Museum’s extensive Chinese processional and temple collections. 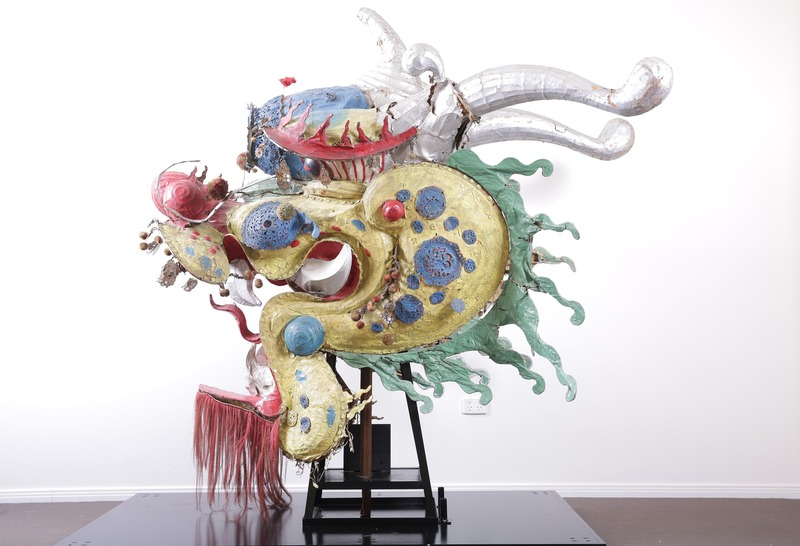 The exhibition will feature Loong, one of Australia’s oldest processional dragons. In 1897, Queen Victoria marked her sixty-year reign over the British Commonwealth, and celebrations were held throughout the colonies on Diamond Jubilee Day on 22 June, 1897. Ballarat’s Chinese community joined the festivities by staging an elaborate procession featuring colourful costumes, dragons, lions, exquisite silk textiles, banners and other regalia. Money was raised to purchase a collection of materials and textiles for the occasion from Canton, China. These included the dragon and lion, now thought to be the oldest documented examples in Australia. Ballarat is now only one of four known sites where a Qing Dynasty (1644-1911) dragon survives in whole or part. In 1962, Ballarat’s most prominent Chinese temple, on Main Road, was closed and the bulk of the temple artefacts were donated to the Ballarat Historical Society. The donation included rare carvings and altar-pieces from the temple, as well as the 1897 processional material including the textiles, dragon and lion. The collection was transferred to the care of the Gold Museum in the 1970s and 1980s, and has remained in the Museum’s collection stores ever since. 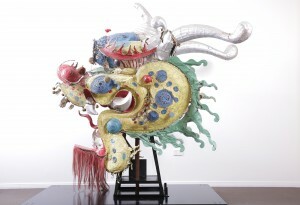 Re-Awakening the Dragon showcases this extensive collection for the first time. 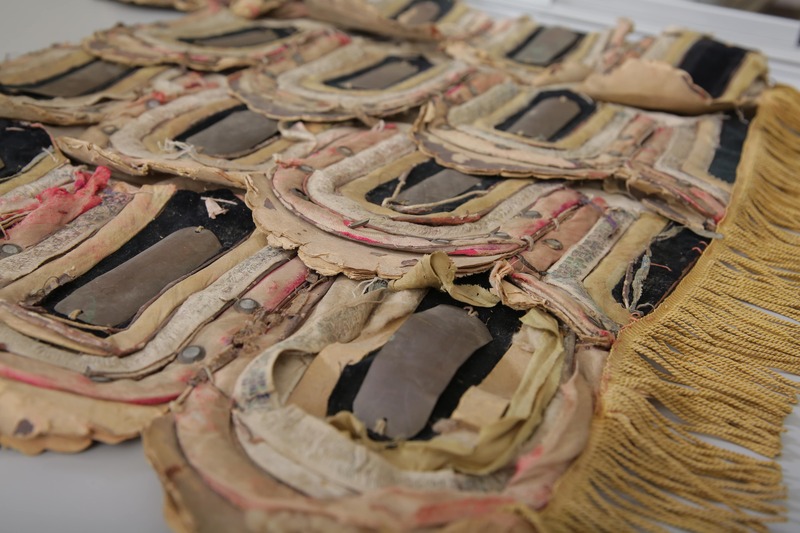 Help preserve one of the world’s oldest collections of Chinese processional objects. Dragons, lions and exquisite silk textiles – all part of the rich history of the Chinese community in Ballarat! A regular feature of processions and festivals since 1898, the collection passed into the care of the Ballarat Historical Society when the Temple on Main Road was demolished in the early 1960s. The significance of the collection, now in the care of the Gold Museum, is tremendous. Conservation and preservation are a priority. Basic conservation has been carried out to protect the objects, but further work is needed due to the fragile nature of the pieces. Intensive conservation is a highly skilled and expensive process. Therefore, the Gold Museum has launched the Awaken the Dragon Appeal to raise much-needed funds to carry out the next stage of the conservation process. The Sovereign Hill Museums Association’s collection has been greatly enriched by the generosity of donors and supporters since it was founded in 1970. To support this important conservation and preservation work, we are asking you to consider donating to the Re-Awaken the Dragon Appeal. Every dollar donated will be used directly in the conservation of the Chinese processional objects. Your donation to The Sovereign Hill Museums Association, a not-for-profit organisation endorsed by the Australian Taxation Office as a Deductible Gift Recipient, will be placed in a special account created for this purpose. Our latest exhibition A Soldier’s View features the museum’s collection of photographs kept by Australian soldier, Captain Brian O’Sullivan. Captain O’Sullivan was born in Richmond, Melbourne in 1895. 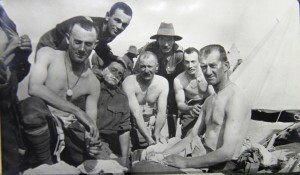 After enrolling in medicine at Melbourne University in 1913, Captain O’Sullivan deferred his study when war broke out in 1914. As an amateur photographer, Captain O’Sullivan captured his journey during World War One, offering an insight into life onboard the ship towards Europe, on the frontline and in the trenches. He also collected photographs from other photographers, such as Frank Hurley. A Soldier’s View follows Captain O’Sullivan’s journey from his enlistment to the soldiers’ downtime and travel. We also see the reality of war as seen by the soldiers. A Soldier’s View is open from May 16 until October 7, 2016. Written by Danni Roberts, third year history student at Federation University. Come along for a ride at the Gold Museum! The Gold Museum is hosting two new exciting exhibitions celebrating the history of cycling in Ballarat and Australia. On Your Bike! Cycling in Ballarat is a celebration of Ballarat’s love of cycling. It is a journey into the development of Ballarat’s cycling movement from the early velocipede to the 20th century racing bicycle. The first bicycles in Ballarat were met with a mixture of bemusement, curiosity and criticism from locals. Since then, this two-wheeled vehicle has captured our hearts and become a fixture on Ballarat’s roads and tracks. 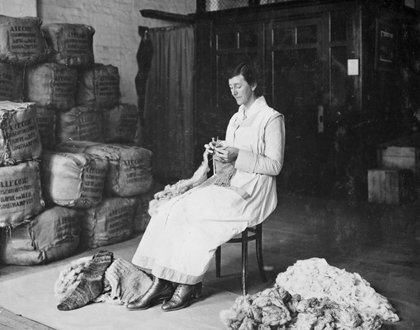 The important role of Ballarat’s bicycle manufacturing industry is also highlighted. Ballarat became a hub for bicycle manufacturing from the 1890s as the mining and metal industry declined. Former metal workers and miners moved into bicycle production, making Ballarat one of the strongest bicycle manufacturing centres in Australia. By 1907, there were 11 companies in Ballarat’s central business district catering to the town’s cycling needs. On Your Bike! showcases historical bicycles, photographs and bicycle accessories from the Gold Museum’s collection and private collections held by Ballarat’s bicycle collectors. On Your Bike! is on display until Sunday April 3, 2016. Freewheeling is a touring exhibition from the National Museum of Australia which will be shown in Victoria for the first time at the Gold Museum. The exhibition explores the story of over 140 years of cycling in Australia and shows how bicycles have brought millions of people joy, excitement, freedom, even glory. The exhibition captures the spirit, the passion surrounding cycling, and the machines that have made this possible. From the introduction of the first human-powered, wheeled vehicle known as a ‘boneshaker’ in the 1860s, to penny-farthings, ‘safety bicycles’, mountain bikes, tricks bikes and light-weight racing bicycles, people have sought adventure and the pleasure of moving around under their own power. Freewheeling is on display until Sunday January 31, 2016. 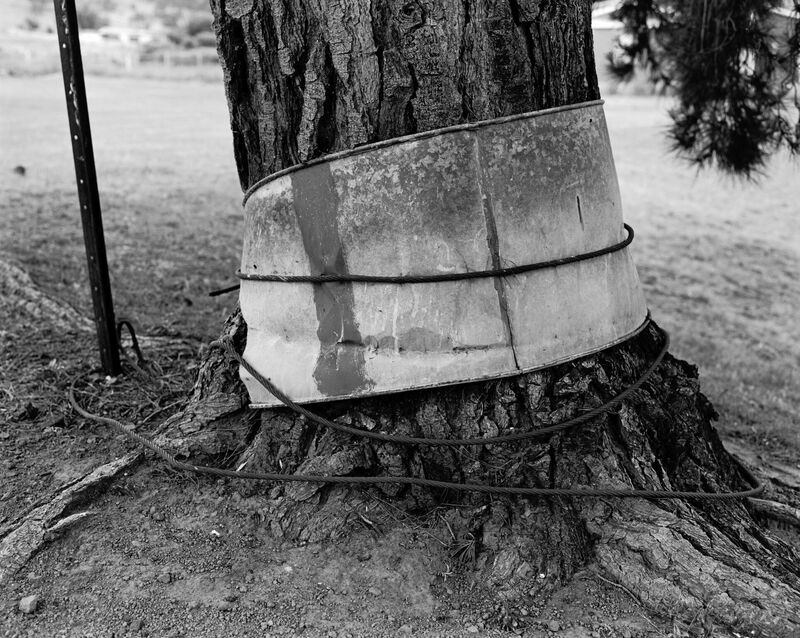 The Gold Museum will host Aaron Claringbold’s exhibition, Bag(h)dad, during the Ballarat International Foto Biennale. Aaron’s work explores ideas of cultural constructions, responsibility and conflict in a modern Australian setting. 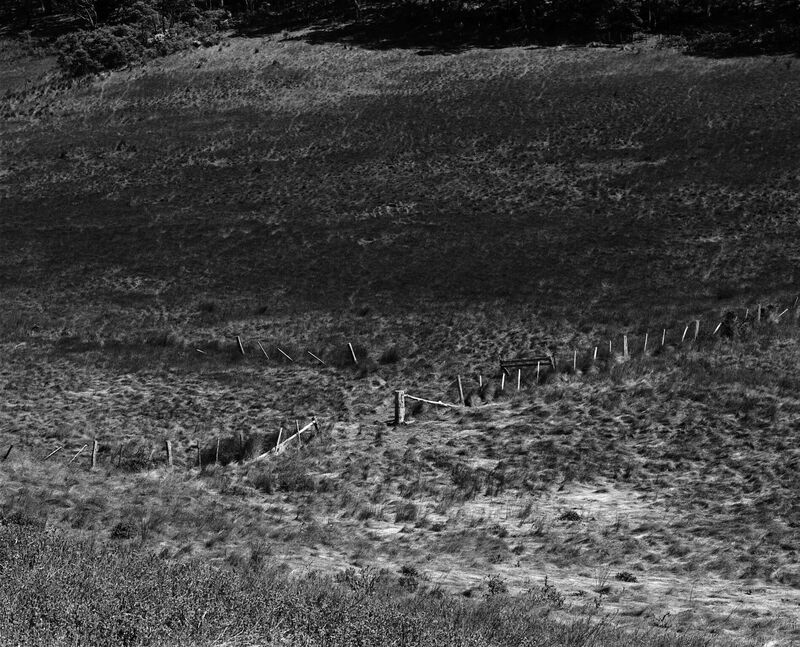 Shot in and around the town of Bagdad, Tasmania, this collection of photographs hints at an uncomfortable mood, observing and alluding to micro-conflicts within a quintessentially Australian landscape. Through his representation of this town and the ideas it can evoke, Aaron creates a sense of distance, isolation and unease. 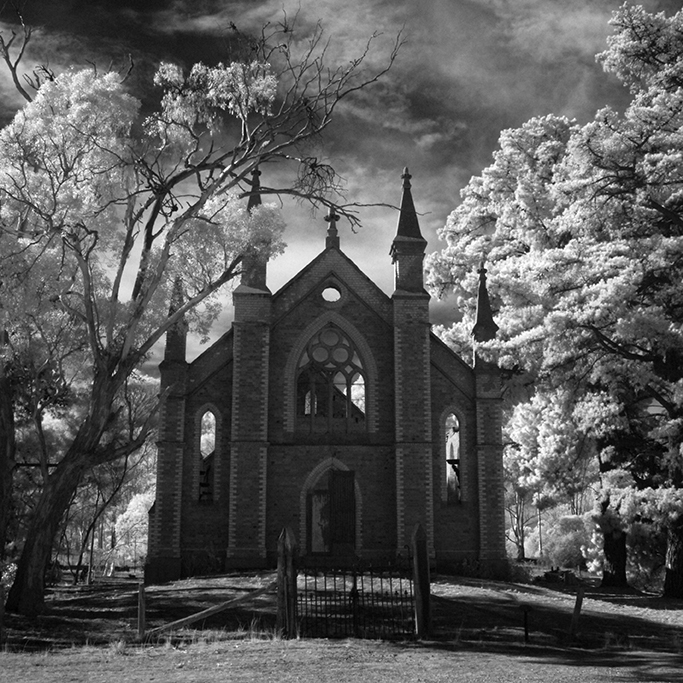 Ballarat International Foto Biennale is on from Saturday 22 August until Sunday 20 September, 2015. Written by Aaron Claringbold and Snjez Cosic, Gold Museum Curator. 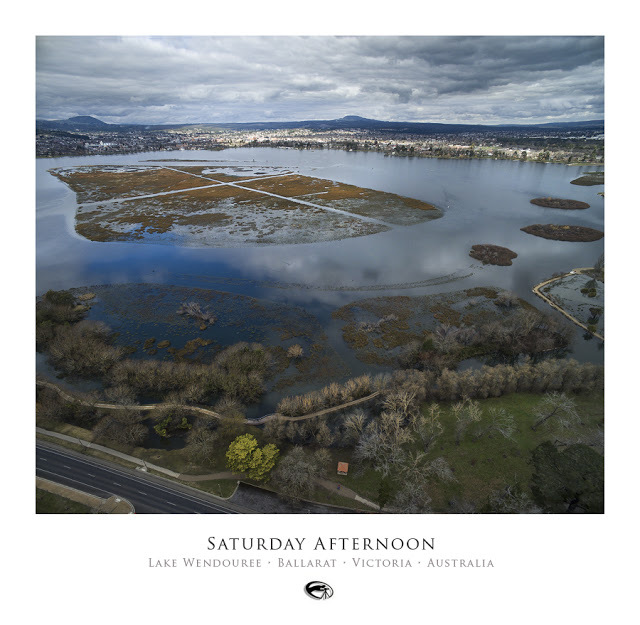 Award-winning landscape photographer Andrew Thomas has brought his collection of aerial shots of Ballarat to the Gold Museum as part of the Ballarat International Foto Biennale. 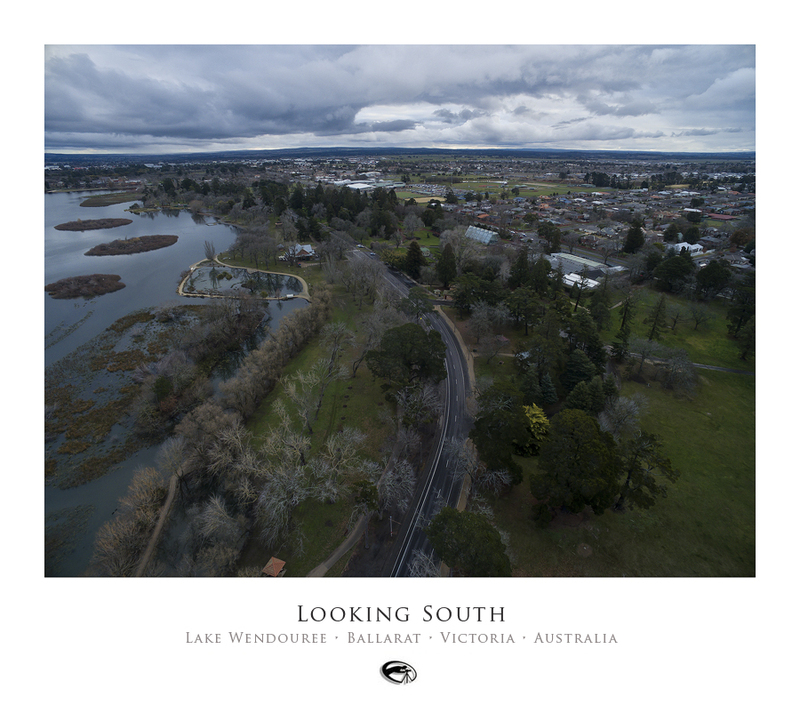 As the Crow Flies features stunning aerial views of Ballarat which have been captured from a drone. Recent advances in technology have seen radical changes to photography and how we approach it. One of the most exciting innovations is the ability to get your camera above the landscape, opening up a whole new world of never-before-seen vistas. This exhibition presents a unique and exciting new viewpoint of Ballarat and the surrounding district. Andrew’s intimate knowledge of the local district and his trademark ability to capture the ideal light conditions has enabled him to compile an intriguing and unique collection from the purely pictorial to the outright abstract. 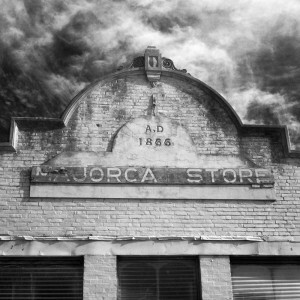 As the Crow Flies is a selection of images from Andrew’s long-running Ballarat 42 project which is a collection of aerial photographs taken within a 42 kilometre radius of Ballarat. Visit Andrew’s website to see more captivating photographs from his collection. Written by Andrew Thomas and Snjez Cosic, Gold Museum Curator. 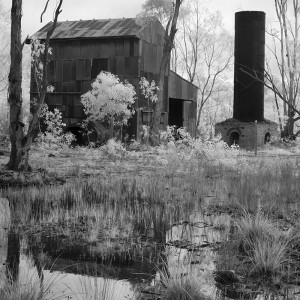 Photographer Marie Watt will exhibit her haunting images of former gold rush towns at the Gold Museum as part of the Ballarat International Foto Biennale. The discovery of gold in Victoria in 1851 changed the state forever. We are familiar with the grand buildings constructed during the gold rush period in thriving regional centres such as Ballarat, Bendigo and Castlemaine. But the gold rush also left a ghostly but beautiful landscape, with its abandoned mines and ruins and towns frozen in time. Marie’s exhibition, After the Rush, uses infrared photography to emphasise the atmospheric solitude of the lesser known gold rush sites in a bid to remind us of a flourishing but harsher past.